The world’s shark population is increasingly under threat and you can play a pivotal role in helping to observe and conserve the most magnificent and misunderstood member of the family, the Great White. Putting on your bravest face, you’ll work hand in hand with marine biologists as they research these fascinating creatures, their behaviour and environment. You’ll share your newfound knowledge with visitors on shark cage diving cruises and may even have the unique opportunity to help with tagging and tracking sharks. Last but most definitely not least, you’ll go cage diving with the sharks for an unforgettable face to face experience of these incredible predators – and take your own photos as proof! In your free time you’ll be able to explore the beautiful coastline of the Western Cape and head further afield to experience the rest of incredible South Africa. A once in a lifetime experience getting close to Great White sharks and seeing these amazing predators in their natural habitat. Getting into the water to cage dive with Great Whites. Being part of research teams who are crucial to the conservation of this unique shark. Activities: Helping with daily shark cage diving operation and tourists; data collection and observations; recording and logging data; assisting crew with bait, dive gear, the cage, cleaning the boat and wetsuits; environment surveys and community projects. Working hours: No fixed itinerary as the project is dependent on the weather. Days off will be scheduled accordingly. Accommodation: Shared room in a chalet sleeping between four and six people. Each chalet has a kitchen, lounge, bathroom and 2 bedrooms. Airport pickup: Included on arrival date – please ask us for details if you’re arriving early. Transfer back to Cape Town or the airport at the end of the trip also included (book your flight after 8.30pm on the last day to be at the airport in time). 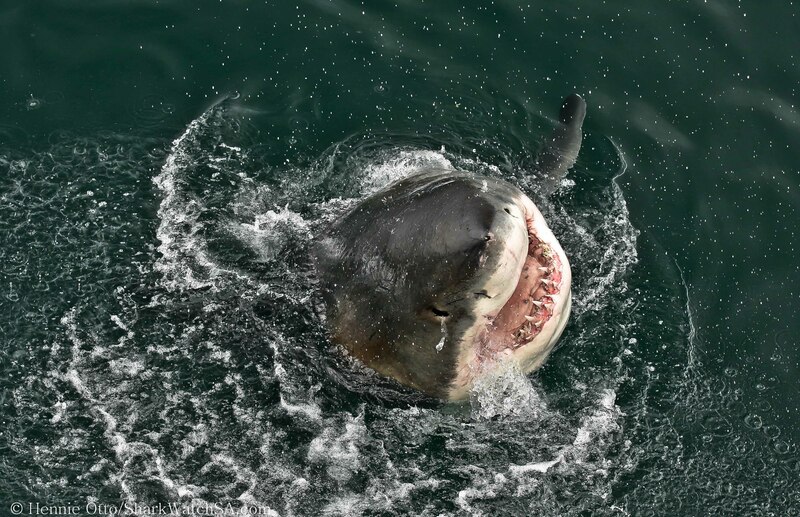 This is an amazing opportunity to see sharks in their natural environment, either from a boat or a cage, and to learn about marine wildlife and ecosystems in the area. You'll be getting involved in the vital work which helps preserve this incredible species and their environment. On every trip a dedicated marine biologist from various worldwide academic institutions is there to guide volunteers, increasing their knowledge of the target species and ecology of the area in which they operate during the set trips. Conservation partner, DICT, is a leader in marine conservation with fulltime marine biologists studying great white sharks, African penguins and various other ecological phenomena. 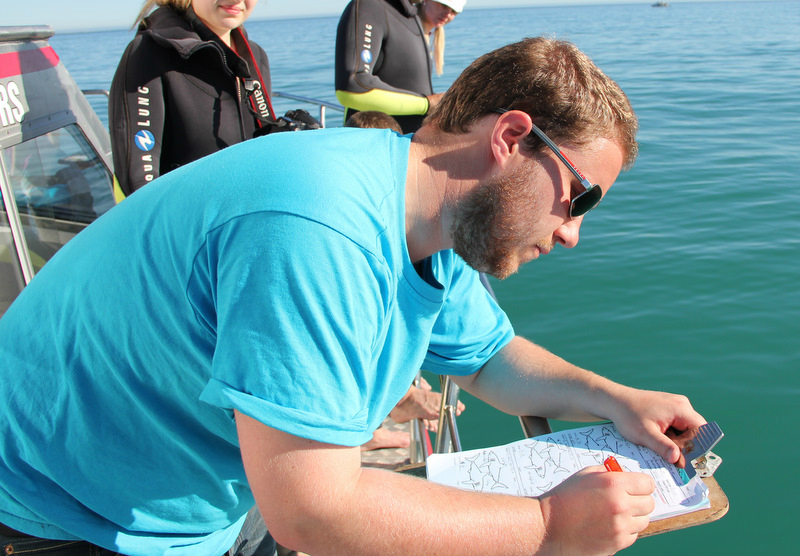 Volunteers will take part in the data capturing for these studies on board of a Shark diving vessel. Shark cage diving expeditions: working with tourists and assisting the crew with baits, chum, cage, dive gear and cleaning. In the process you’ll have time to dive yourself, observing the sharks and taking photographs. You will help in research with the marine biologists on board and, funding- and weather- dependent, may have a chance to be involved in tagging and tracking the sharks. Dorsal fin identification: Each shark’s fin is unique, and images of it can be matched to the Great White database. 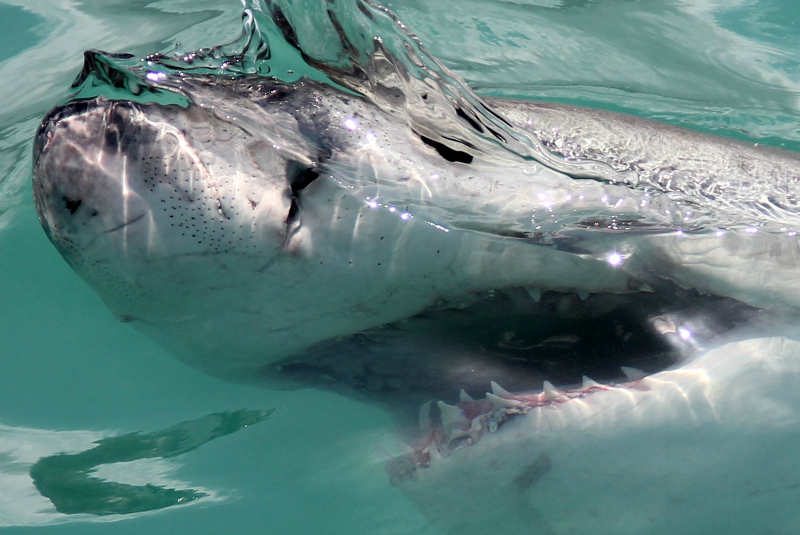 This information is important in shark monitoring on a local, national and global scale. 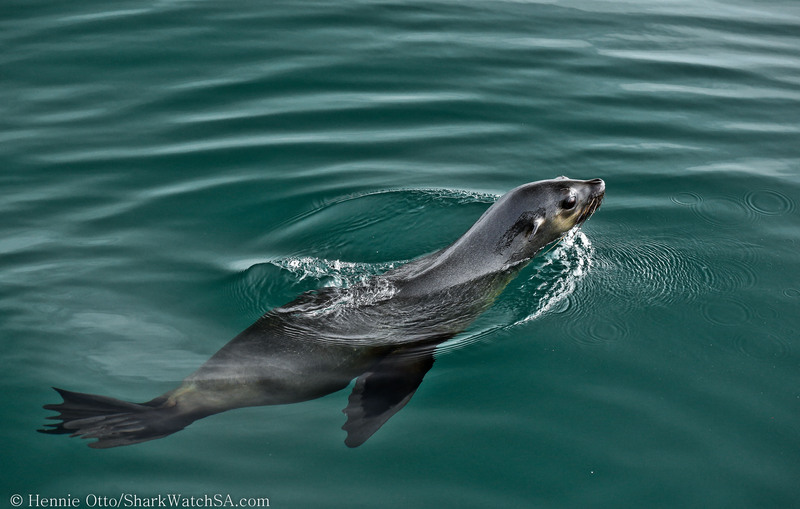 Whale-watching expeditions: if you’re here from July to December, you can join one of the whale trips where you’ll help with data collection and observations, looking particularly for bite marks on seals, birds and dolphins, and entangled animals. Environmental surveys: These walks are a great opportunity to learn and get hands-on experience. Conducted regularly, you’ll participate in beach walks, beach clean ups, hikes, shark egg case walks and rocky shore ecology. Community projects: You can help the local community by teaching kids from the local schools about the Marine Big 5 (dolphins, whales, seals, sharks and penguins), cleaning up beaches, assisting in the making and deployment of penguin houses and fishing line bins. You’ll become an expert on shark behaviour and biology, history of shark attacks, identifying sharks, how to photograph marine wildlife, ocean conservation at the tip of Africa and so much more. You also have the opportunity to add your own education and training to the mix. Many of the crew come from underprivileged homes and have not travelled outside South Africa. They love to learn from and make friends with friendly volunteers. There’s a huge variety of activities and tasks, you’ll never be bored! Be prepared for some early mornings – but these are often the most beautiful part of an African day. 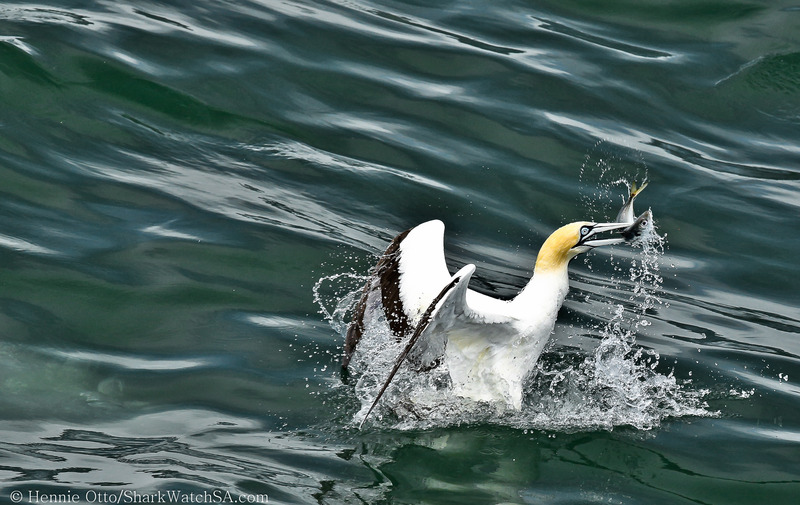 Boat trips are weather-dependent so you’ll need to be flexible and go with the flow. You’ll find most of what you need at the project. However, you may like to bring your own snorkel, mask and flippers or you can rent some from a shop in-country. Arrive at Cape Town International Airport (airport code CPT) before 4.15pm to be in time for orientation at 5pm. You’ll be met at the airport and taken to our volunteer house in Fish Hoek where you’ll spend the night. The journey takes about 45 minutes and you’ll see the magnificent Table Mountain on the way! Orientation will take you through what you can expect from your project, dos and don’ts and how to stay safe. It’s also a great opportunity to ask any burning questions you’ve got. After orientation you’ll have dinner and some time to relax and prepare for the exciting day tomorrow. Day 2 (Tuesday) – off to the shark spot! The team will take you on the scenic 2.5 hour drive to Kleinbaai, 180kms southeast of Cape Town. You’ll be picked up at around 5am so get your coffee ready, it’s an early morning! On arrival you’ll meet the crew and staff that you’ll be working with. If there’s time and decent weather you may even be able to go out on the boat to see your first sharks! When you get back you’ll watch the DVD of your boat trip and spend time with the onsite volunteer coordinators who will explain your duties and responsibilities for the program and give you run down on house rules, safety and so on. (This will either be on day 1 or 2). Next, they’ll take you grocery shopping and then to the volunteer lodge were you’ll be staying for the duration of your placement. Relax and settle in, then join your fellow volunteers for a traditional South African barbeque (braai) round the fire, a great way to get to know each other. The team will let you know what’s happening the next day and you can ask any questions. Day 3 (Tuesday) – let’s get started! Meet the crew an hour before launch for a briefing and then have the awesome opportunity to take the boat trip as a tourist, cage diving with the sharks and learning what it’s like from the guests’ point of view. The team will work out a schedule for your coming weeks, with days off and land-based days included. However, it’s all weather and season permitting so nothing is set in stone - prepare to be flexible and change if necessary. Volunteers can take time off whenever they want but they need to inform the coordinator in advance. Day 4 (Wednesday) and weeks to follow – keep it up! On your off days, there’s so much to do in the area. And if you have two or more days in a row, feel free to venture further afield and enjoy the many exciting attractions that the Western Cape has to offer, from the highest bungee jump in the world to golden beaches and safaris. It’s time to say goodbye and hamba kahle (go well in Zulu). You’ll be transferred back to Cape Town city centre or the airport, leaving in the afternoon and arriving in Cape Town at approximately 5pm. If you’re flying on this day, please book your flight for after 8.30pm. Alternatively, enjoy a special last night in beautiful Cape Town. Shark populations worldwide are increasingly threatened and it’s only by getting to know these mysterious species intimately that we can work to save them. Much research is still needed to get to know them. 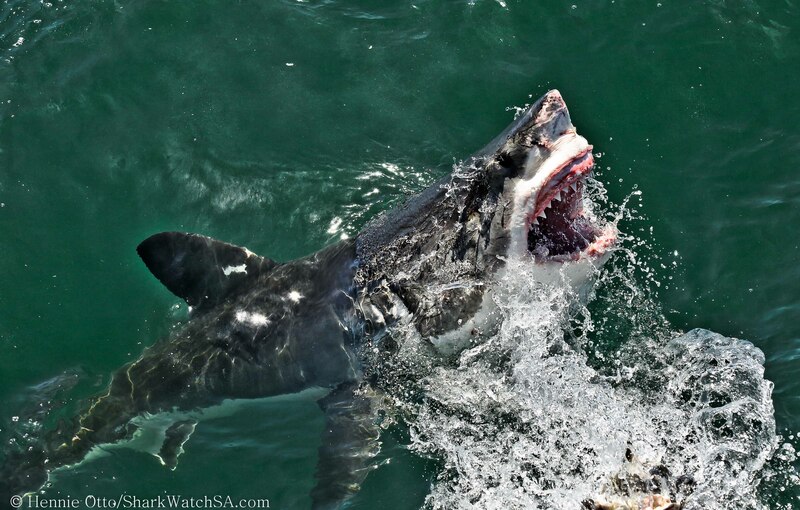 Kleinbaai, where the project is based, is known as the best place in the world to see (and research) Great White sharks in their natural habitat. The project you’ll work on is a boat-based, marine ecotourism company which gives tourists an unforgettable experience as they go out and see whales, dolphins, seals, penguins, sharks and many species of rare pelagic birds that live close to the shore. They are also deeply involved in research and conservation and provide volunteers with a holistic, fun and most unforgettable experience of Africa and its oceans. You’ll be staying in comfortable chalet accommodation which sleeps between four and six people. Each chalet has a kitchen, lounge, bathroom (with western toilets and hot running water) and two bedrooms. In the main house there is a fully equipped communal kitchen, lounge with TV and DVD player, pool table, table tennis table, lovely garden and outside swimming pool as well as a lecture room. Dinners are self-catering, breakfast is provided (cereal, tea, coffee, sugar) aswell as lunch. We recommend that you budget between £200 / USD$360 per month for groceries. The team takes you grocery shopping once a week in the local town and you can cook all your meals in the well equipped kitchen. Or you can take a quick stroll into town if you’d like to eat out or get takeaway. There is a safe in each chalet for your valuables. Take care not to leave anything lying around. There is internet and WiFi at the house and access to a mobile phone in case of emergencies. Public phones are available in Kleinbaai, or bring your mobile phone with you. Check with your provider about international roaming and its costs, or simply purchase a local sim card. A housekeeper cleans the accommodation once a week. Please keep the house clean in the meantime. The house is within walking distance of the coast, town and the project so travel is not an issue and won’t cost you anything. Kleinbaai and Gansbaai are the two local towns for your food supplies, restaurants and bars. Taxi to Gansbaai is approximately R10 and some local restaurants will pick up and drop off local volunteers in the evening. There’s a laundry in town, approximately R 15/kg. Cape Town and all its amazing attractions. Please note that the weather can become quite cold during the months of May to September, please remember to bring some warm clothes with you.